STATE 194 producer Elise Pearlstein will participate in a Q&A tonight, May 20, after the 7:30PM screening at Music Hall 3 in Beverly Hills. THE GHASTLY LOVE OF JOHNNY director Paul Bunnell will be at the Playhouse 7 for the Friday (May 17) show, along with cinematographer Francisco Bulgarelli and actor Jed Rowen (“Sluggo”). 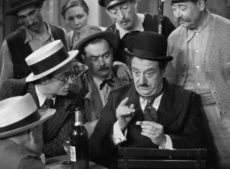 And at the Music Hall 3 on Friday (May 17) will be actors Will Keenan (“Johnny X”) and Les Williams (“Chip”) and costume designer Kristina West. They’ll have free JOHNNY X comic books to give away at both screenings while supplies last. Paul Bunnell’s 1950s throwback dials up the weirdness of the already surreal genre of sci-fi B movies with show-stopping musical numbers, over-the-top dialogue, and hilariously hokey special effects. 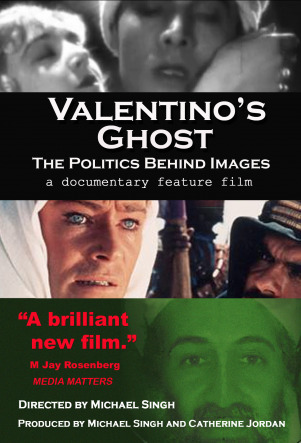 The VALENTINO’S GHOST filmmakers will participate in a Q&A after the 2:10 screening at the Playhouse 7 on Saturday, May 18. VALENTINO’S GHOST explores the ways in which America’s foreign policy agenda in the Middle East drives the U.S. media’s portrayals of Arabs and Muslims. Q&A with THE SECOND MEETING director Zeljko Mirkovic following the 12:20pm show on Saturday, May 18, at the Playhouse 7. 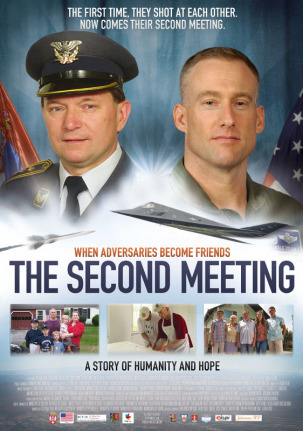 THE SECOND MEETING is about the first two encounters of former American pilot Dale Zelko and former Yugoslav missile officer Zoltan Dani. The first was on radar in 1999, when Dani shot down Zelko’s F-117A stealth attack plane – the only one ever downed in combat — during the NATO bombing of Yugoslavia. The second was 12 years later, during peacetime, when they decided to meet face to face as civilians and friends. May 16, 2013 by Jordan D.M. AUGUSTINE star Soko will participate in a Q&A after the 7:20 screening tonight, May 17 at the Royal Theatre. May 13, 2013 by Jordan D.M. John Osborne, National Director, faculty, and teacher trainer for Project Welcome Home Troops, who is featured in the film, FREE THE MIND, will participate in Q&A’s after the 7:30 PM screenings Friday-Sunday, May 17-19, at the Music Hall 3 and after the 11 AM screenings Saturday, May 18 at the Playhouse 7 and Sunday, May 19 at the Monicas. May 9, 2013 by Jordan D.M. The DESPERATE ACTS OF MAGIC filmmakers will participate in Q&A’s at the NoHo after the 7:45 PM screenings on Friday and Saturday, May 10 and 11, and after the 1 PM screening on Sunday, May 12. Magicians will perform before the 7:45 and 10:15 screenings on Friday and Saturday and before the 1 PM screening on Sunday. The WHITE FROG cast and crew will participate in a Q&A after the 7:50 screening at the Playhouse on Saturday, May 11.